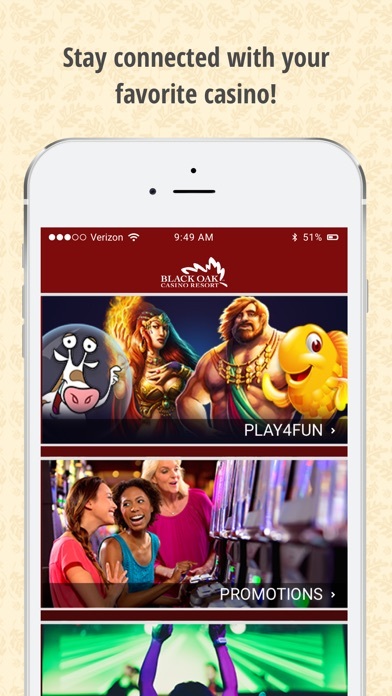 Stay connected to all the fun and excitement at Black Oak Casino Resort, right in the palm of your hand! This interactive app makes it easy for you to book a room, view menus from our restaurants like Seven Sisters, see our current casino and dining promotions, play a slot game, and more! This is a must-have for any Black Oak guest! Features Include: CASINO Feel the rush of the hottest games in the region! We offer over 164,000 square feet of gaming and entertainment options for everybody! You can even find out about upcoming tournaments and current promos before you even arrive. 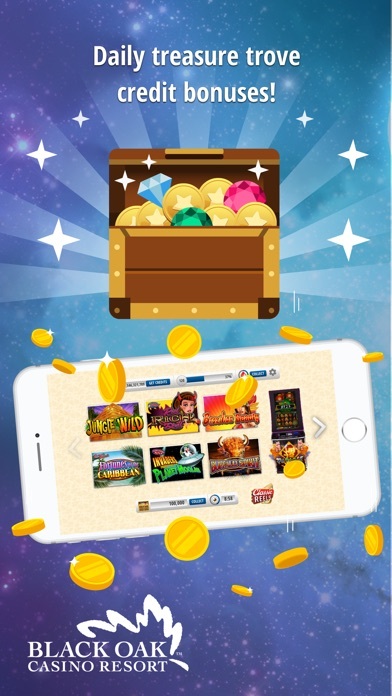 PLAYERS CLUB Learn about Black Oak Casino Players Club Program, view benefits and rewards, and sign up instantly with the app. DINE + FUN See the dining menus for all of our restaurants and view our schedule of upcoming entertainment and events. MAPS Access overhead custom GPS maps or view detailed property maps of the casino and surrounding area. You can even drop a pin onto the satellite map to remember where you parked or where to meet friends. IN-APP SEARCH Use the embedded smart-search bar to find content by keyword. PASSKEY-PROTECTED CONTENT Event attendees or wedding guests can see private, passkey-protected content only accessible to registered guests. They can access up-to-the-minute event schedules, guest list, programs and more. FEEDBACK SURVEYS We want to hear from you! 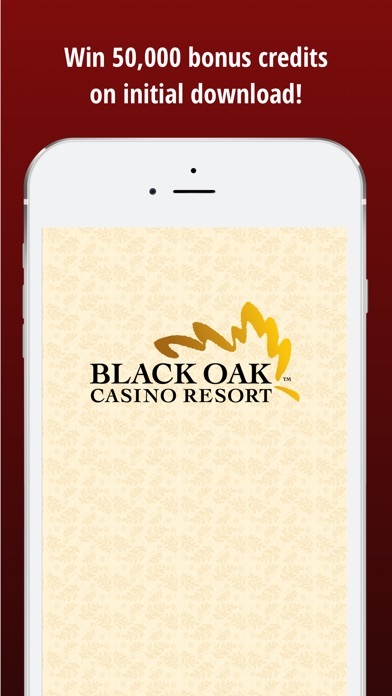 Let us know about your experience at Black Oak Casino or rate any of our featured services with the app. STAY CONNECTED! Update the world right at your fingertips! Connect with us on Facebook and view our YouTube videos in the Buzz section of the app. PLAY4FUN CASINO Now including free-play casino slots like Queen of the Wild, Black Knight, Forbidden Dragons, Bier Haus and more! AND MUCH MORE! I think the developer of this game site needs to pick up the pace to compete with the many other choices out there. For one thing, having to wait four hours between free credits is really stretching it!! Try every hour to keep our attention! 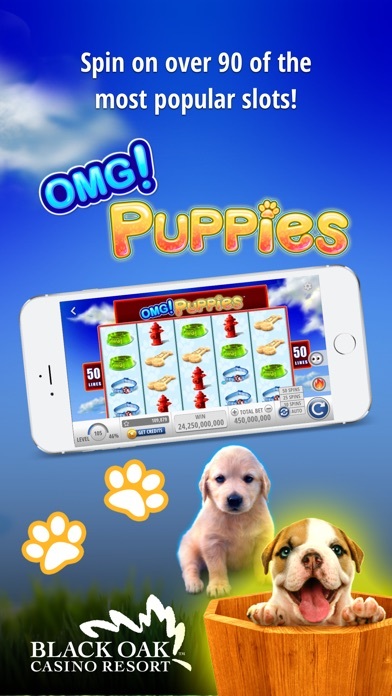 Yes, the games are very similar to the actual slots you can find in their Black Oak casino. However, not the same ones I choose to play when I want to spend my cold hard cash gambling. I like the glitz and glamour of the 3D larger screen. So much more exciting! The games on this site are mostly so-so, boring. The type I see grandmas falling asleep 😴 in front of! LOL. Yah, I know y’all have seen it too! To wrap it up, I guess I’ll be generous tonight and give your app 21/2 stars because I do like the monopoly game. Change the collection of free credits to every hour and I’ll raise it to three ⭐️⭐️⭐️! Update: Only one day after writing ✍️ the above review and I see new changes to the format of this game site. Too bad (in my opinion) they are NOT improvements. In regards to the bonus credits given out to collect every four hours, now you can’t even see the countdown of time until the next collection! Instead of a time clock countdown, you have replaced that with a time bar that one would have to keep checking back on. All this back and forth is quite tedious you know! And we also do not like the new progress bar. I thought the old one was much better where you can see just how many points you need to reach the next level! Sorry guys! These are not welcomed changes. Please revert it back. And let’s see those free credits issued every hour!! And how about arranging to be able to play offline! Now THAT would really bring up your ratings! Didn't get free credits I earned. After contacting Customer Service I received a prompt and satisfying result!